After shelling out hundreds of dollars for a flight, baggage fees, and the requisite $50 or $300 to get drunk enough at the airport bar to deal with the whole fiasco, it’s nice to get something for free, even if it is just a few tiny snacks. Yesterday, United Airlines announced that, starting in February, flight attendants would once again lavish passengers with free snacks on flights in North America and Latin America. Passengers flying before 9:45am will be offered a “morning stroopwafel – a Dutch, caramel-filled waffle.” Meanwhile, those flying later will get savory snacks “such as an Asian-style snack mix of rice crackers, sesame sticks and wasabi peas or a zesty-ranch mix of mini pretzel sticks, Cajun corn sticks and ranch soy nuts,” the airline said in their newsroom. Yes, the days of complimentary meals on domestic flights aren’t coming back anytime soon (or ever), but the truth is most of those meals were pretty terrible anyway. 15 years ago you probably would have killed to swap out your strange pasta dish for a decent stroopwafel. So a small snack here and there sounds like a nice idea. 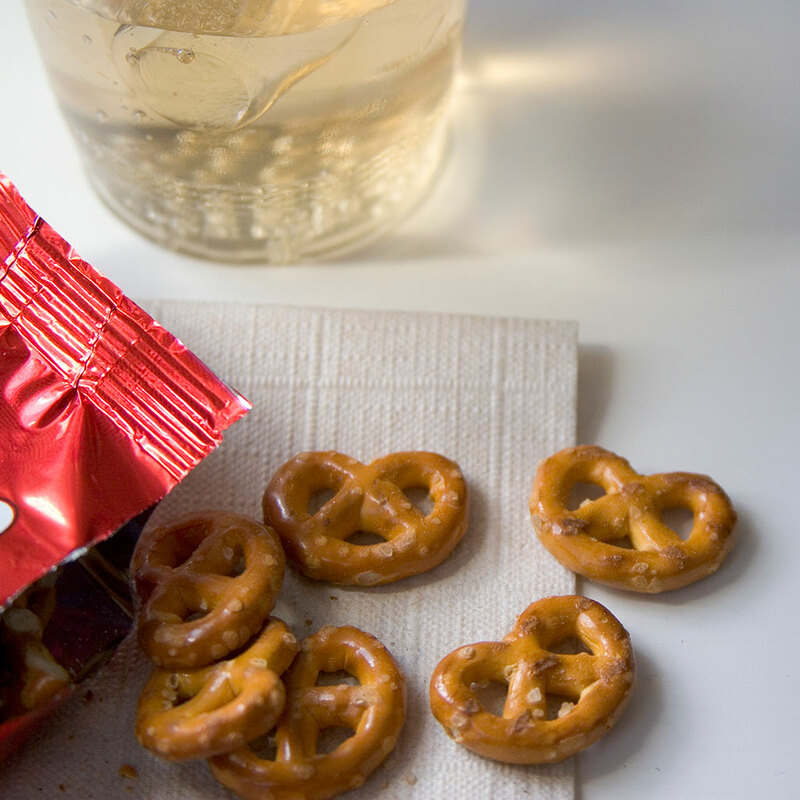 “We're bringing back complimentary snacks that are a nod to our global presence,” said United’s Jimmy Samartzis. “They also add that extra level of service our employees will be proud to deliver and will make a big difference for our customers.” Plus you can chuck ‘em at people who insist on reclining their seats as far as possible. A wasabi pea in the eye can really sting.